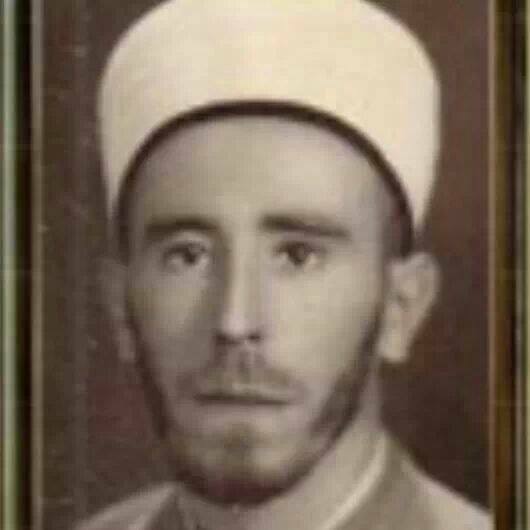 Shaykh Ibrahim al-Ya’qoubi was one of the greatest scholars Syria saw in the past 50 years. He succeded Sheikh Muhammad al-Makki al-Kettani as the Maliki Mufti of Syria. He was also the Imam and teacher of the Omayyad Mosque. 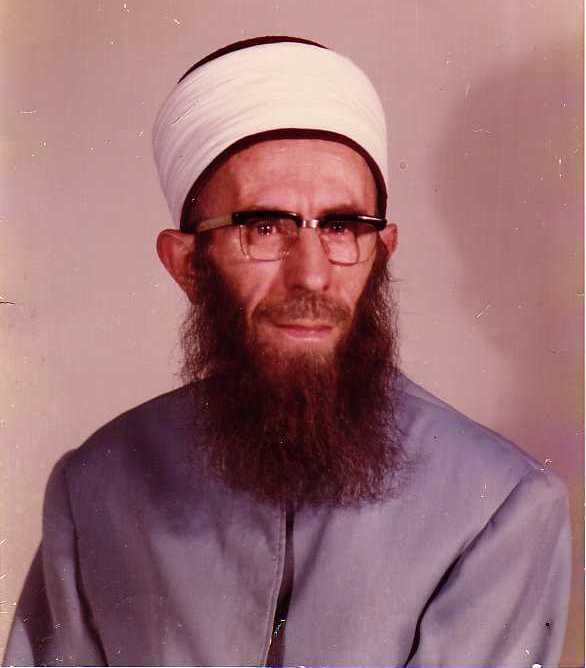 He is the khlaifa of this father, Shaykh Ibrahim al-Yaqoubi, in the Shadhili silsila. 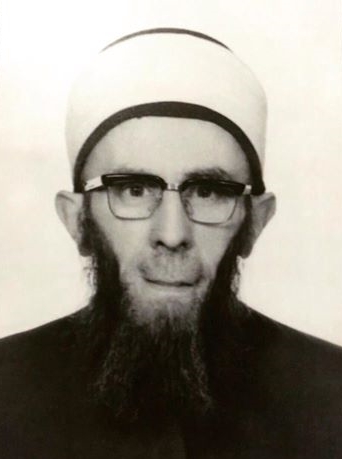 Shaykh Ibrahim al-Ya`qoubi (d. 1985/1406 H.) descends from a scholarly family whose lineage goes back to the Prophet, salla Allahu ‘alayhi sallam, through his grandson Sayyiduna al-Hasan, radiya Allahu ‘anhu. His lineage goes back to Mawlay Idris al-Anwar who built the city of Fes. Mawlay Idris’ lineage is as follows: he is the son of Mawlay Idris the Great; who is the son of Sayyiduna Abdullah al-Kamil; who is the son of Sayyiduna al-Hasan, the Second; who is the son of Sayyiduna al-Hasan, radiya Allah ‘anhu; who is the grandson of the Prophet, salla Allahu ‘alayhi wa sallam. Sh. Ibrahim was born in Damascus on the night of Eid al-Adha in the year 1343 Hijri and was raised under the supervision of his father who taught him whilst he was still young the fundamentals of Aqidah and the Quran in the recitation of Warsh. He began the study of various sciences firstly in the ‘Maktab’ of Sh. 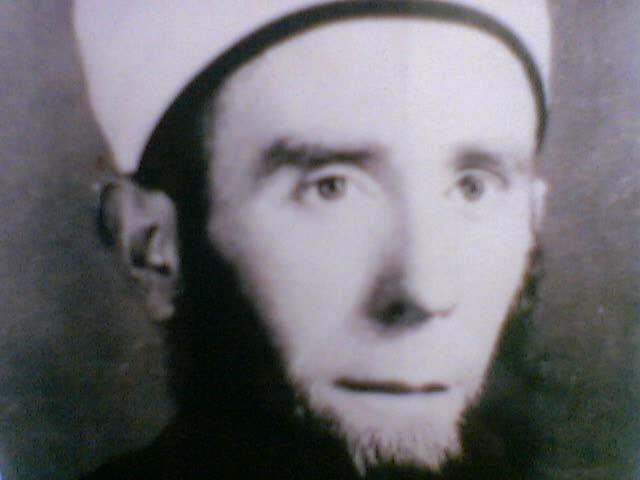 Mustafa al-Jazairi, then he was moved after some months by his father to the ‘Maktab’ of Sh. 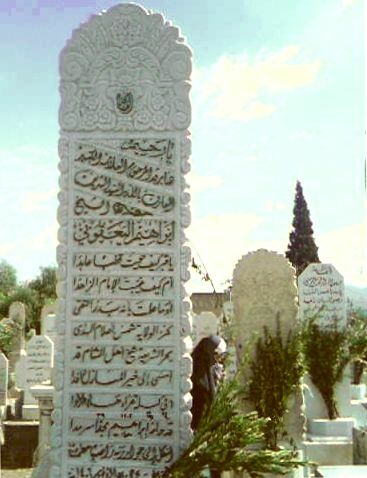 Muhammad Ali al-Hijazi al-Kaylani where he remained for around six years the duration of which he memorized most of the Quran. He studied with the spiritual guide Sh. Muhammad al-Hashimi, the Sheikh of the Shadhili order, who resided nearby to the home of Sh. Ibrahims father. Sh. Ibrahim would accompany Sh. al-Hashimi to the Jami al-Baridi, Jami Nur al-Dinal-Shahid and the Madrassa al-Shamiyah wherein would take place circles of dhikr and learning. He memorized with him during this time ‘Nadhm Aqidah Ahl al-Sunnah’ and a portion of ‘Diwan al-Mustaghnami’. He studied with him the ‘Sharh al-Risalah’ of al-Sharnubi and al-Zarqani, and ‘Bulghah al-Salik’ in Maliki fiqh, ‘Sharh Nadhm Aqidah Ahl al-Sunnah’, ‘Miftah al-Jannah’ and ‘Risalah al-Qushayriyyah’ which took place at private lessons in his home. by Sh. 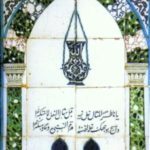 Muhammad bin Yusuf al-Kafi called ‘Al-Murshid al-Mueen’, ‘Tafsir Ibn Ajibah’, ‘Sharh al-Hikam’ of Ibn Ajibah, ‘Sharh al-Bayquniyyah’ of al-Zarqani, ‘Awarif al-Maarif’ of al-Suhrawardi, ‘Nawadir al-Usul’, ‘Al-Futuhat al-Makkiyah’, ‘Al-Hikam al-Ataiyah’ and the two Sahihs. He was granted a general ijazah by him on the 24th of Shawwal 1379 Hijri in the rational and transmitted sciences, aswell as the litanies of the Shadhili order. He attended with his father whilst young the lessons of the Muhaddith Sh. Muhammad Badr al-Din al-Hasani, aswell as regularly visiting and benefitting from the lessons of his uncle Sh. Muhammad al-Sharif al-Yaqubi, whose public lessons he attended in the prayer niche (mihrab) of the Maliki’s in the Umayyad mosque and his home. He also studied with his uncle Sh. Muhammad al-Arabi al-Yaqubi in the prayer niche of the Malikis in the Umayyad mosque. 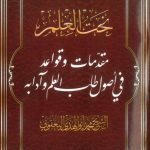 He studied the fourth volume of the work ‘Al-Durus al-Nahwiyah’ of Hisni Nasif with Sh. Muhammad Ali al-Qattan and kept the company of Sh. Hussein al-Baghjati from whom he benefitted from in the sciences of calligraphy, recitation (tajwid) and Prophetic biography (sirah). He attended during this period of time the public lessons which would take place in the Sinaniyyah mosque by Sh. 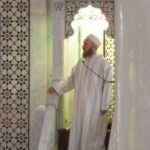 Ali al-Daqr, Sh. Hashim al-Khatib, Sh. 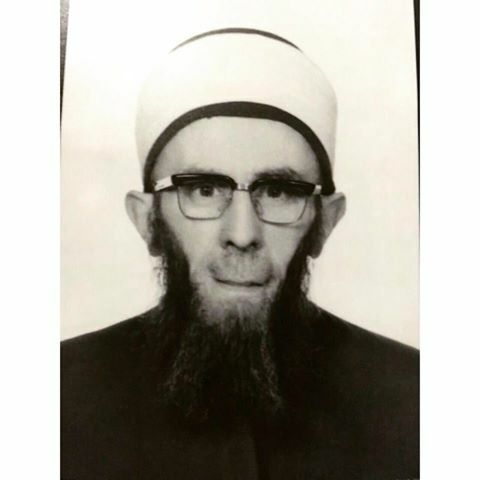 Muhammad Shakir al-Misri better known as al-Himsi, Sh. Abd al-Majid al-Tarabishi with whom he studied ‘Multaqa al Abhur’ and ‘Maraqi al-Falah’. He studied with Sh. 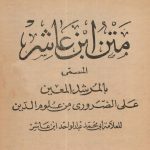 Abd al-Hamid al-Qabuni ‘Hidayah al-Mustafid’ and the text of ‘Ghayah wa al-Taqrib’. He also studied with Sh. Abd al-Qadir al-Iskandari and Sh. Muhammad Barakat. His father Sh. Ismail was his first spiritual guide and the most important of his teachers during his life. He took from the Shadhili path and benefitted from his instructions and training. He likewise took from him the Qadiri and Khalwati orders aswell, and was authorised in a number of them by him. He benefitted from the lessons of Sh. Muhammad al-Makki al-Kattani, he studied with him in his home. He read with him the ‘Al-Arbain al-Ajluniyyah’, the ‘Sharh al-Bukhari’ of al-Qastallani, ‘Lataif al-Minan’ and ‘Ruh al-Quds’. He took from him the Shadhili Qadiri path. He also narrated from him the pattern chained narrations (musalsal) of mercy (rahmah), interlacing fingers, shaking hands and the hadith of Muadh Ibn Jabal. He was granted a lengthy ijazah by him in his handwriting in on the 24th of Shaban 1378.
hosted him a number of times. He read with him the ‘Al-Arabin al-Ajluniyyah’ in one sitting, a number of treatise on some sciences of tasawwuf and was granted a general ijazah by him dated the 8th of Shawwal 1381. He attended the lessons of Sh. Ahmad bin Muhammad bin Yallas al-Tilmisani at his home. He read with him ‘Subul al-Salam Sharh Bulugh al-Maram’, ‘Sharh al-Hikam’ of Ibn Ajibah, ‘Taysir al-Wusul ila Jami al-Usul’, ‘Hashiyah al-Arusi ala Sharh al-Risalah al-Qushayriyyah, ‘Sunan Ibn Majah’, ‘Idah al-Maqsud fi Mana Wahdah al-Wujud’ of Sh. Abd al-Ghani al-Nabulsi. He likewise attended the lessons which would take place in peoples homes in which he read ‘Dalil al-Falihin’ and ‘Al-Futuhat al-Rabbaniyyah’. He attended in his Zawiyah al-Samadiyah many of his circles of dhikr, and studied the ‘Hashiyah al-Bajuri’ on the Shamail of al-Tirmidhi and ‘Ghaliyah al-Mawaiz’. From him he took the Shadhili way and was granted an ijazah verbally. He studied with Sh. Muhammad Salih al-Farfur ‘Tafsir al-Nasafi’ from the beginning up to Yasin. 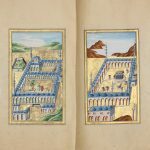 ‘Sharh Ibn Aqil’ on the Alfiyyah of Ibn Malik, ‘Sharh al-Manar’ of Ibn Malik, ‘Sharh al-Sirajiyyah’, ‘Jawahir al-Balaghah’, ‘Asrar al-Balaghah’, ‘Al-Kamil’ of al-Mubrad, ‘Tadrib al-Rawi’, ‘Risalah al-Qushayriyyah’ and attended his morning lessons on the ‘Hashiyah Ibn Abidin’, ‘Sahih al-Tirmidhi’, ‘Al-Minan al-Kubra’, ‘Sharh al-Hikam’ of Ibn Ajibah, ‘Al-Yawaqit wal-Jawahir’ and around 8 volumes from ‘Umdah al-Qari’ of al-Aini. In addition he attended his evening lessons on ‘Sharh al-Qutb al-Razi ala al-Shamsiyyah’ on logic (mantiq) by Najm al-Din al-Katibi, ‘Hashiyah al-Adawi ala Khulasah al-Hisab’ of al-Amili, ‘Hashiyah al-Bajuri ala al-Jawharah’ a number of times, ‘Sharh al-Musayarah’ of Ibn Abi Sharif. He attended after after the Asr prayer in his home the ‘Tafsir al-Kashaf’ of al-Zamakhshari and ‘Dalail al-Ijaz’ and was granted a written ijazah by him. He studied with Sh. Abd al-Wahab al-Hafidh better known as Dibs Wazit the text ‘Multaqa al-Abhur’ in the Umayyad mosque, and attended his public lessons in the month of Ramadan. He sought an ijazah from him and was authorised with one verbally a number of times and promised a written one, but passed away before he could write it. Sh. Abd al-Wahab would say: If you wish to ask regarding a ruling in the hanafi madhab and do not find me, then ask Sh. Ibrahim al-Yaqubi in the prayer niche (mihrab) of the Malikis in the Jami al-Umawi’. He visited Sh. Ahmad al-Harun a number of times, was given ijazah in his specific litanies. He attended some of Sh. Muhammad Saeed al-Burhani’s lessons in the Umayyad mosque for the books ‘Al-Minan al-Kubra’ and ‘Al-Warif wal Maarif’ and took the the Shadhili path from him, and there was between both of them a close relationship. He attended some of Sh. Muhammad Abi al-Khair al-Maydanis lessons in Dar al-Hadith for the book ‘Sharh al-Mawahib al-Laduniyyah’ of al-Zarqani, and heard from him the hadith of mercy, and took the Naqshbandi path from him. He read to him the beginning of ‘Al-Jami al-Saghir’ of al-Suyuti and was given a general ijazah by him and was promised a written one. He studied with Sh. Nuh al-Albani at him home the ‘Risalah al-Sibt al-Mardini fi Amal bi al-Rub al-Mujib’. He read to the Quran recitor Sh. Muhammad Sadiq Alwan the whole Quran, and read the ‘Sharh al-Jazariyyah’ and ‘Manar al-Huda’ of al-Ashmuni to him. He studied with Sh. Muhammad Abi Yusr Abidin in a private gathering some of the treatise of Ibn Abidin and who said: My successor in fiqh and usul is Sh. Ibrahim al-Yaqubi. He obtained numerous ijazahs other than the ones mentioned, amongst them being the ijazah from Sh. 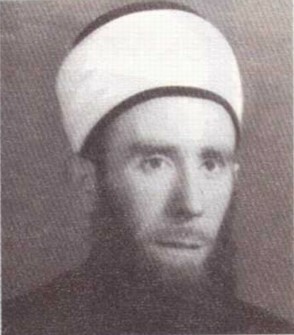 Abd al-Karim al-Saqli, Sh. 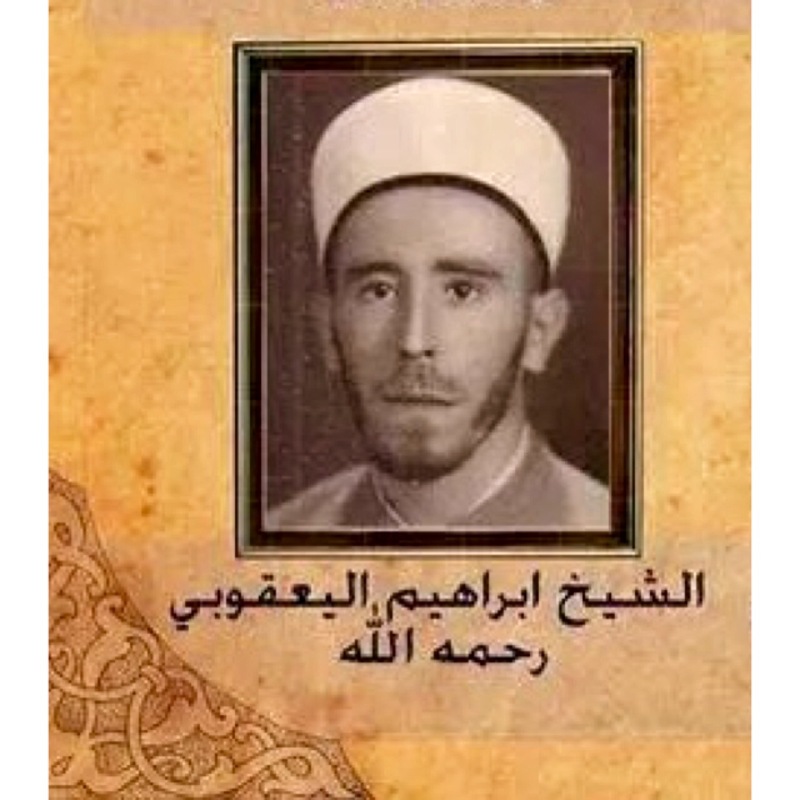 Zayn al-Abidin al-Tunisi and Sh. Ali al-Boudilimi. He memorized a large number of texts, their sum total exceeding 25,000 lines of poetry. He would cite much of them during his lessons, such as the ‘Al-Kafiyah al-Shafiyah’ of Ibn Malik and his ‘Al-Alfiyyah’. 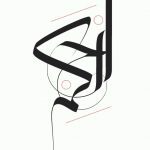 Likewise ‘Ghayah al-Maani’ of al-Baytushi, ‘Nadhm Mughni al-Labib’, ‘Lamiyah al-Afal’, ‘Muthalathath Qatrab’, ‘Nadhm Mukhtasar al-Manar’, Al-Kawakabiyah’ in Usul, ‘Maunah al-Rahman’ in Hanafi fiqh, ‘Matn Ibn Ashir’, ‘Tuhfah al-Hukkam’ better known as ‘Al-Asimiyyah’ in Maliki fiqh. He memorized ‘Matn al-Zubad’, ‘Nadhm Matn Ghayah wal-Taqrib’ in Shafi fiqh. He memorized ‘Al-Jawharah’, ‘Al-Shaybaniyyah’ and ‘Bad al-Amali’ in Tawhid. In hadith terminology he memorized ‘Al-Bayquniyyah’, ‘Nadhm Nukhbah al-Fikr’ and close to half of al-Iraqi’s ‘Al-Alfiyyah’. In Balaghah he memorized ‘Al-Jawhar al-Maknun’ of al-Akhdari and in logic (mantiq) ‘Al-Sullam’, ‘Nadhm al-Shamsiyah’ and ‘Nadh Adaab al-Bahth’ of al-Marsafi. In inhertiance law he memorized ‘Al-Rahabiyyah’ and ‘Lamiyyah al-Jabari’, and in recitation (tajwid) ‘Al-Jazariyyah’ and ‘Tuhfah al-Atfal’. In literature he memorized the ‘Diwan al-Hamasah’ and portions of ‘Al-Mufadalliyat’, ‘Al-Muallaqat al-Ashr’ and many of the well known odes (qasaid). From the texts written as prose he memorized ‘Al-Risalah’and ‘Matn al-Khalil’ in Maliki fiqh. In grammar ‘Qatar al-Nada’ and ‘Shudhur al-Dhahab’. Likewise ‘Al-Sanusiyyah’, ‘Matn Nur al-Idah’, ‘Al-Manar’, ‘Aqidah al-Sheikh Arsalan’ and ‘Al-Hikam al-Ataiyyah’. He began teaching before reaching the age of 20 in the Jami al-Sinan Pasha. And was appointed as a teacher in the Jami Darwish Pasha in the year 1376 Hijri. Before this in 1373 he was appointed Imam in Jami al-Zaytuna and then the Jami al-Baridi and then the Umayyad mosque in the prayer niche (mihrab) of the Malikis and then the Hanafis, until the year 1390 Hijri. He was appointed a teacher linked to the fatwa administration in the year 1378 Hijri. He taught in the Jami al-Uthman, Shariah Secondary school, Mahad Fath al-Islami, Mahad Isaf Tullab Ulum al-Shariyyah, Madrassa al-Ghazali lil Ahdath and Madrassa Sijn Qilah Dimashq. He performed the obligatory Hajj in the year 1392 via the land route, and this was his only Hajj. Sh. Ibrahim al-Yaqubi was an expert in a number of the Islamic sciences, and firmly grounded in both the Hanafi and Maliki schools, both of which he taught. It is said that he had memorized the ‘Hashiyah Ibn Abidin’. His lessons on Usul where those of a Mujtahid due to his vast knowledge the principles of the madhahib and their evidences. He taught ‘Al-Talwih’ a number of times, and ‘Hawashi al-Mirat’ in Usul, also ‘Al-Muwafiqat’ of al-Shatibi a number fo times and the ‘Mustasfa’ of al-Ghazali amongst other works. His expertise in the Arabic language was evident from his teaching of ‘Mughni al-Labib’ of Ibn Hisham a number of times, likewise ‘Sharh al-Rida ala al-Kafiyah’ of Ibn al-Hajib and the commentaries of ‘Al-Alfiyah and the ‘Kitab al-Sibaway’. Sh. Ibrahim also taught logic and philosophy, he taught ‘Shuruh al-Shamsiyah’, ‘Sharh al-Tahdhib’, ‘Al-Basair al-Nasiriyah’, ‘Sharh al-Maqawulat’, ‘Sharh al-Isharat’ of al-Tusi, ‘Shuruh al-Sullam’ of al-Isaghawji. He possessed an illuminating face which attracted people towards him. The humility of the scholars was evident on him, he was softly spoken and would not distinguish himself from others. He would pay his full attention to those who visited him, they would enjoy his conversation and he would not tire of them nor their questions. He would answer them clearly and in detail in the manner of a precise learned scholar. Despite this he loved solitude, he said: If it was not for knowledge and seeking it I would not have met any of the people’. Also saying that the most beloved moments to him were in a lesson where he would taste the enjoyment of the knowledge and time spent in the rememberance of Allah. He did not seek fame nor did desire to gain it, and did not teach for worldly gain. If he taught and gave a sermon would do so seeking the pleasure of is Lord. He lived a life full of modesty and suffered hardship as he had made it all an endowment to knowledge and serving others. He bore with patience the personal difficulties he experienced and was content with that which Allah had apportioned for him. One of his young sons died on the morning of a lesson which had been arranged in his home. He welcomed the students, taught them the lesson from ‘Al-Risalah al-Qushayriyyah’ as was his habit and treated them as a guest should be treated. When he finished the lesson he informed them of the death of his son. He would speak for a number of hours in a clear precise manner. His way of explaining was such that he would take the most complex of issues and would present them in way which they were clearly understood, this is why his lessons were beloved to people. He kept up to date with current schools of thought and matters which were of concern to those in the Muslim world. He would not discuss any school of thought without first studying it. He studied the Torah and Bible, the discussions and books authored in critique of other religions. He would keep up to date with the publishing of new books and new ideas. His teachers with whom he studied honoured, loved and respected him. And would ask his view on difficult matters. Sh. Ibrahim had informed his family of his death 6 months before his passing away, and he then informed them again 3 days before his death that he would be meeting his Lord on the night before the day of Jumah. He instructed them to pray over him on the Asr of Friday and asked to be buried next to his mother, and that they not do anything against the sunnah nor anything unlawful during the preparation and performance of his funeral and burial. He also asked his debts to be paid and the trusts left with him to be returned to their owners. Sh. Ibrahim al-Yaqubi passed away on the night before the day of Jumah on the 26th of Rabi al-Awwal in the year 1406 Hijri. His eldest son Sh. Muhammad Abu al-Huda lead his funeral prayer in the grand Umayyad mosque. 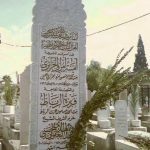 A large funeral procession followed respectfully to the cemetery of Bab al-Saghir where he was lowered in to his grave by his student Dr Muhammad Abd al-Latif Farfur. A few weeks after his passing away a gathering was held in rememberance of him in the Jami al-Uthman in Damascus which was attended by numerous people of knowledge from cities all over Syria. May Allah (the Exalted) have mercy on Sh. Ibrahim al-Yaqubi, all the scholars mentioned in this article, Sh. Ibrahims students and all of the Muslims. “My dear son, the erudite scholar, the distinguished man of learning, culture and refinement, the sufi, the blessing, who mentiones (at all times the name of Allah), the Sharif, my Master Ibrahim al-Ya`qubi” etc. “Our liege-lord, the teacher, the erudite scholar, the Knower of Allah ta`ala, the God-fearing, my Master Ibrahim, son of my Master Ismaíl al-Ya`qubi, who is teaching in the Darwish Pasha mosque” etc. “There is none like Sheikh Ibrahim al-Ya`qubi in the sciences of Arabic langaguage and Usul.” (i.e. 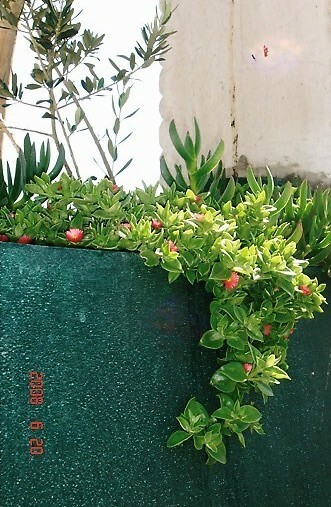 `aqida). هو إبراهيم بن إسماعيل بن محمد الحسن اليعقوبي الحسني. جزائري الأصل هاجر جدّه محمد الحسن إلى دمشق مع بعض المشايخ سنة 1263هـ. وُلِدَ رحمه الله بدمشق ليلة الأضحى سنة 1343 هـ وقد أخذ العلم عن مشايخ كثيرين: منهم وقد كان أولهم والده الشيخ إسماعيل: فقد لقنه وهو صغير مبادىء العقيدة والقرآن الكريم, والشيخ مصطفى الجزائري الذي لقنه مبادىء العلوم, والشيخ محمد علي الحجازي الذي حفظ عليه أكثر القرآن الكريم, والمرشد الشيخ محمد الهاشمي الذي أجازه بخطه إجازة عامة, والشيخ محمد المكّي الكتّاني الذي روى من طريقه الأحاديث المسلسلة كحديث الرحمة والمشابكة والمصافحة وحديث معاذ بن جبل: -والله إني لأحبك-, وأجازه بخطه مرتين. كما قرأ على الشيخ محمد صالح الفرفور مؤسس معهد الفتح الإسلامي قرأ عليه علوماً كثيرة مثل: شرح ابن عقيل على ألفية ابن مالك, وجواهر البلاغة, وعلىالشيخ عبد الوهاب الحافظ الشهير بدبس وزيت, ولقد أجازه شفهياً مرات, وتوفي الأخير رحمه الله قبل أن يجيز الشيخ كتابياً, وكان الشيخ عبد الوهاب يقول: إذا أردتم أن تسألوا عن حكم في المذهب الحنفي ولم تجدوني فاسألوا الشيخ ابراهيم اليعقوبي في محراب المالكية بالجامع الأموي, وعلى الشيخ محمد أبي اليسر عابدين قرأ بعض رسائل ابن عابدين وقال: إن خليفتي في الفقه والأصول الشيخ إبراهيم اليعقوبي. حفظ متوناً كثيرة زاد مجموعها على خمسة وعشرين ألف بيت منها: الألفية لابن مالك الجوهرة الوحيدة في التوحيد, البيقونية في المصطلح, الرحبية في الفرائض. وكان قد بدأ بالتدريس دون العشرين في جامع سنان باشا, ودرّس في معهد الفتح الإسلامي وغيره , شغل إمامة المالكية ثم الحنفية بالجامع الأموي, ودرّس وخطب مدة تزيد على خمسة وثلاثين عاما حجّ الفرض مرة واحدة سنة 1392هـ عن طريق البر, ولم يحج سواها. كان رحمه الله يجذب الناس إليه ويؤلّفهم نحوه, عليه تواضع العلماء وسَمْتهم, ليّن الحديث, ولا يميز نفسه عن الآخرين, يقبل عليهم بكلّيّته إذا زاروه ويمتّعهم بأحاديثه العذبة, ولا يملّ منهم, ولا يتململ من أسئلتهم التي يجيب عليها بوضوح وتفصيل جواب العالم المتقن الشافي. ومع هذا فهو يحبّ العزلة ويميل إليها, ويقول: لولا العلم وطلب العلم, لما قابلت من الناس أحداً. أحبّ الأوقات إليه ساعتان, ساعة درس يتلذّذ فيها بالعلم, وساعة نجوى يقضيها بذكر الله تعالى. كان شيوخه الذين درس عليهم يجلّونه ويحترمونه ويحبونه ويسألونه رأيه في بعض المعضلات التي تشكُل عليهم. كان صاحب الترجمة مصاباً بضيق الصّمّام التاجي نتيجة الإرهاق والتعب. ولما زاد مرضه بقي في داره متفرّغاً للتأليف والإفتاء. وقبل وفاته بأيام ازداد مرضه فنُقِلَ إلى المستشفى وتوفي ليلة الجمعة في 26 ربيع الأول عام 1406هـ, في المستشفى حيث غسّله أبناؤه وصلى عليه ولده الأكبر العلامة سيدي محمّد أبو الهدى في الجامع الأموي, وشُيِّع في جنازة حافلة إلى مقبرة باب الصغير. أقول أنا عبدالعزيز بن علال الحسني الدمشقي الجزائري قدألبسني شيخنا محمدأبو الهدى اليعقوبي عمامة والده في بيته بدمشق. He left behind a number of treatise on the sciences of: Balaghah, al-urud, al-Wad’, Ilghaz and Usul al-Fiqh. He also has notes on a number of works. -Al-Fath al-Rahmani fi Fatawa al-Sayyid Thabit Abi al-Maani (second volume).